For anyone keeping track . . . Mason has been gone 11 months today!! Here is the e-mail we got this morning . 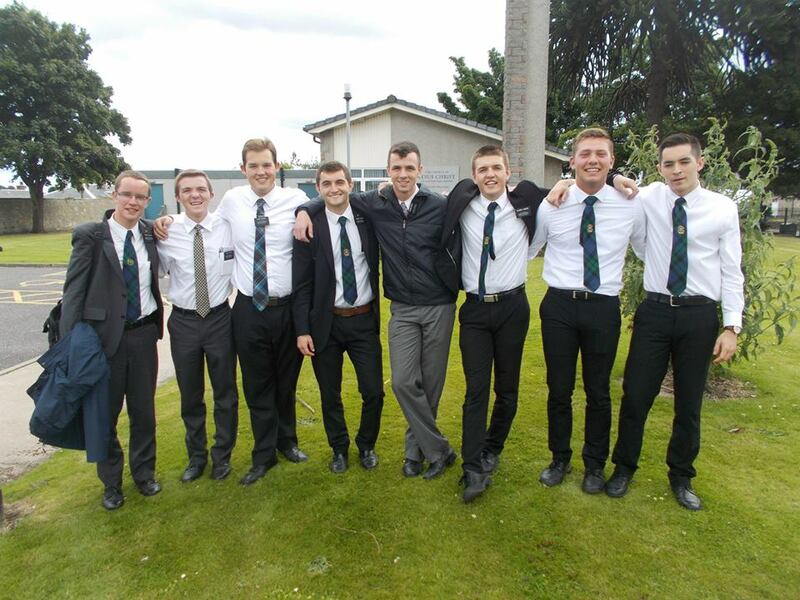 . .
Hey Mom - Elder Carter is pretty ready to go home and one of the missionaries from my last district, Elder Yates is going home with him and he is in Aberdeen so they have been planing what they will be doing their last few days. But this is going to be a TRUNKY week. Here is what happened last week. Monday we really didn't do much just went looking at the shops here. Then we went to Gail's house and had dinner. Tuesday after district meeting we went on exchanges with the Zone Leaders. 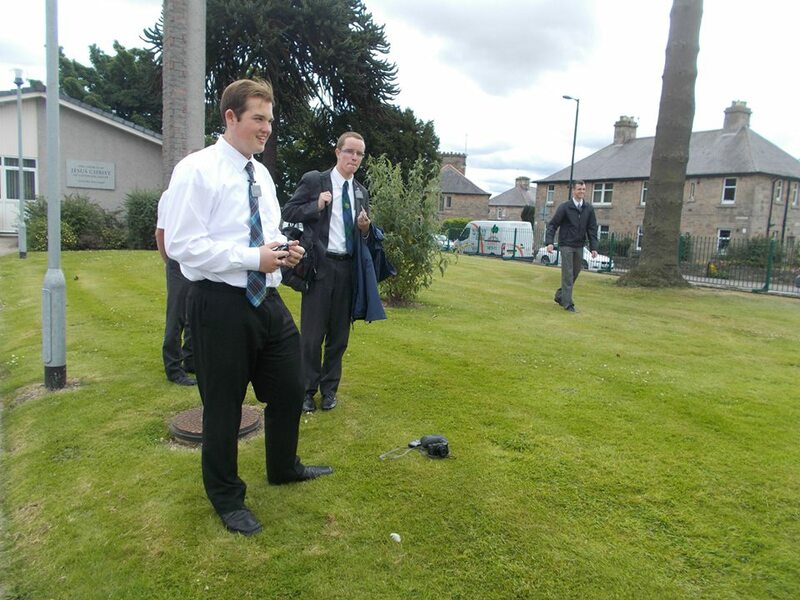 Elder Carter and Elder Tang took off to Skye and me and Elder White did some finding. 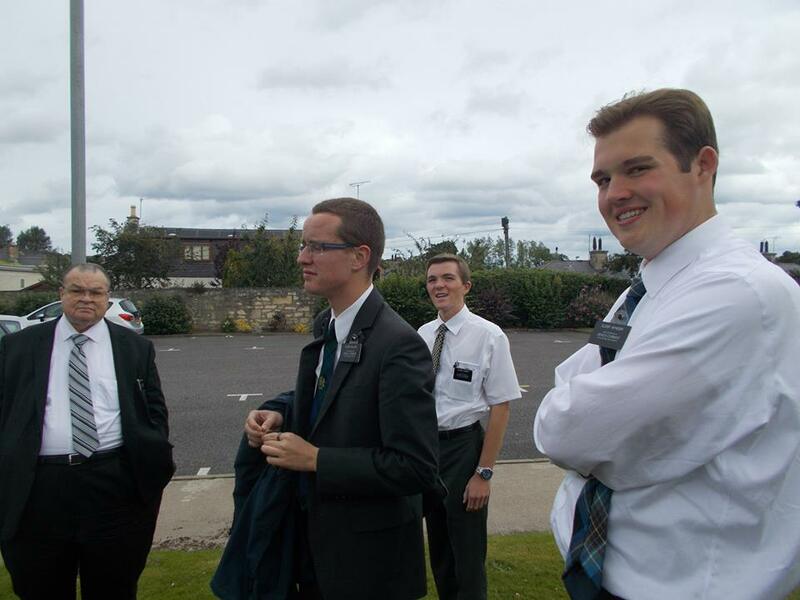 We talked to a girl named Bonnie who seems pretty cool so we are hoping to see her sometime soon. Then we had some fun when we all got back to the flat. Elder Tang told us a story from when he was a little kid so we decided to reenact it. Wednesday I can't remember what we did so nothing to special. Thursday after weekly planing and a DL study we went and saw a less active - the grumpy one. Then we went to Adam and Rose's for dinner and then had Ninjitsu which was really fun. Friday we helped Gail and her son do some painting and that took almost the whole day. Then Ann Harrison was up with a missionary who has been home for a little while but is now doing his mission tour. So we went out to Beef Eater again with them. That was a pretty easy day. Saturday we went to the hotel that Ann and the RM, Elder Preece, were staying at and we used the gym there for morning exercise, then we had breakfast with them in the hotel. Then we did our service time at the Salvation Army. After that we went and did sports with the youth. The Martin/Thairs ,the ones who we have been helping with their tennis court, got back from a big vacation so all their kids came to sports at the church so we hung out with them. Then there was a baptism for some member kids from America. They had it over here since all the family is from Inverness, so we had to stay at the church all day and fill up the font. Then on the way back to the flat we ran into a drunk crazy guy. Then Sunday after church bishop invited us to this interfaith meeting that he was going to. It was okay it was mainly a lot of just talking about peace and how we can achieve it. It was okay but not the most enjoyable thing. After we went and had dinner with the Sutherlands and then back to the flat. So it was a bit of a crazy week. Love and miss you guys so much. A senior missionary couple posted some pictures on Facebook of a district leader meeting that Mason and his companion went to, so here are a few of them.